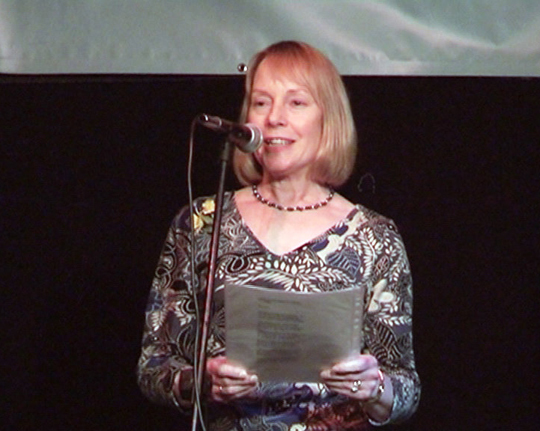 Frances White’s poems have won first prizes and been highly commended in several competitions. She co-authored and published 3 anthologies of poetry and artwork with Words, a group of four poets, founded by the late Aeronwy Thomas. She lives in South West London, has read as a guest poet at many poetry venues and festivals in England and Wales, and particularly enjoys reading with Dodo Modern Poets. Her own collection of poetry, ‘Swiftscape’, was published by The Seventh Quarry Press in 2016.
when we gain an hour but lose the light. the pumpkin rules the vegetable plot. the children shiver with delight. for oranges and sticky sweets. when it’s tossed outside on the compost heap. when hope is torn and nothing is born. the night we remember, remember the dead.